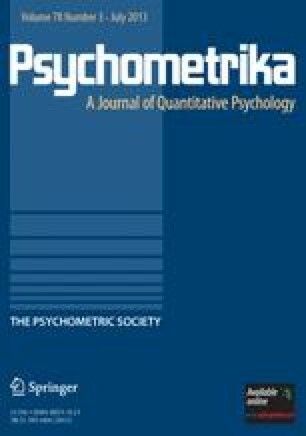 Under certain assumptions an expression, in terms of item difficulties and intercorrelations, is derived for the curvilinear correlation of test score on the “ability underlying the test,” this ability being defined as the common factor of the item tetrachoric intercorrelations corrected for guessing. It is shown that this curvilinear correlation is equal to the square root of the test reliability. Numerical values for these curvilinear correlations are presented for a number of hypothetical tests, defined in terms of their item parameters. These numerical results indicate that the reliability and the curvilinear correlation will be maximized by (1) minimizing the variability of item difficulty and (2) making the level of item difficulty somewhat easier than the halfway point between a chance percentage of correct answers and 100 per cent correct answers.